Spicers Vineyards Estate is a stunning guesthouse surrounded by the property’s private vineyard with magnificient views of Brokenback Mountains. 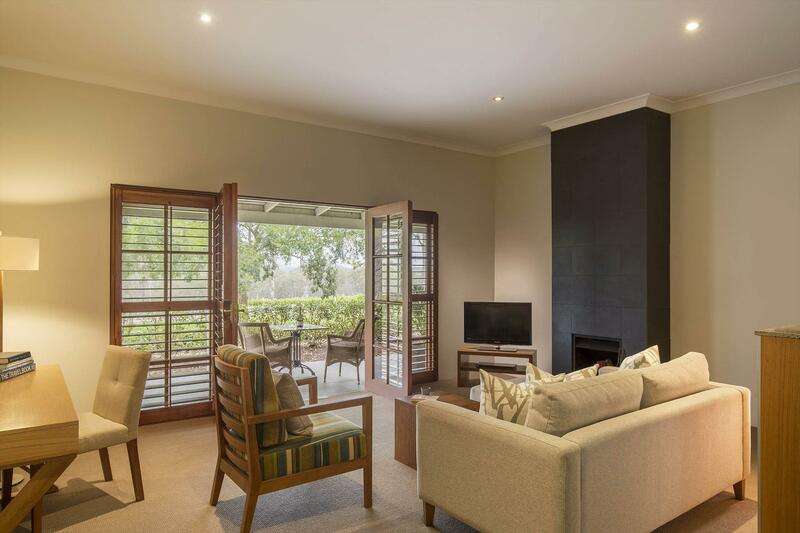 Your luxurious suite will be the perfect place to retire after a glorious day of exploring the Hunter Valley. Nightly turndown service will surprise & delight! Spicers Vineyards Estate is a picturesque guesthouse that you will never want to leave. 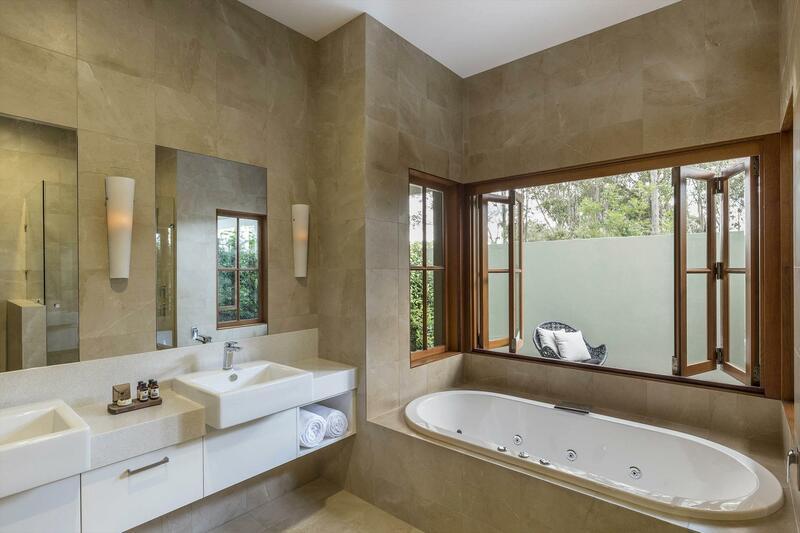 The staff will go above and beyond and each suite features an open fireplace, king bed, ensuite with spa, plasma TV. Your stay includes a delicious gourmet a la carte breakfast. Have fun with lifesized chess and checkers and boules court, saltwater swimming pool and the stunning guest lounge area. Guests are close to over 100 wineries, vineyards and cellar doors but if wine isn’t the reason behind your stay, spend some time perusing local galleries, embarking on some stunning bush walks. Take the Cessnock, Kurri Kurri turn-off from the freeway. Travel the 29 kilometres from the Freeway into Cessnock. Turn right into Cessnock's main street, (Vincent Street). At the end of Vincent Street. Turn left at the traffic lights and then right into Allandale Road. Travel some 7 kilometres along Allandale Road (which becomes Wine Country Drive). Be sure not to take the first VINEYARD SIGN turn to your right. You will go past the Crown Plaza on your right followed by the Visitor Information Centre and Cessnock airport on the left. Just past the airport, veer into the left lane and turn left into Broke Road. You’ll see Vineyard signs on your left. Travel up Broke Road, passing Hope Estate on your right. Turn left at McDonalds Road with a sharp turn right into Broke Road again. You’ll pass Hunter Valley Gardens and a little further on Tyrrell's Wines on your left. Travel along Broke Road some 5 kilometres and take the first turn to your right into HERMITAGE ROAD. THE VINEYARDS ESTATE is situated 7 kilometres along Hermitage Road on the right. You can't miss our sign and we're well lit at night, so you shouldn’t have too many problems finding us. If cancelled or modified up to 14 days prior to arrival, no fee will be charged. If cancelled, modified later or in the case of no show, the total price of the reservation will be charged. Bed and Breakfast - Luxury accommodation with gourmet breakfast daily.